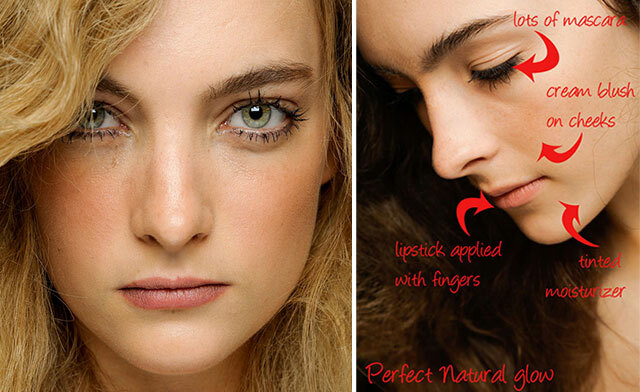 This summer I discovered and tried for the first time Living Nature make-up products. I am so excited about this brand that I decided to try also their skincare products and some other make-up products as well. 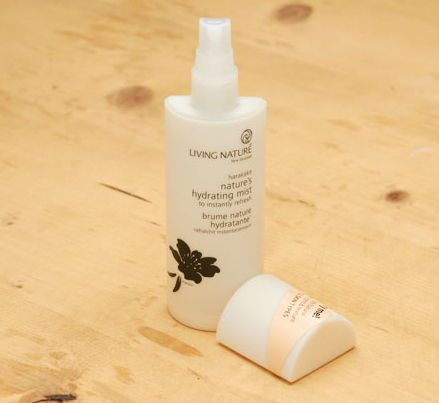 Today I’ll write a thorough review of Living nature’s skincare products that I like and use, plus unite it with some tips for treating dry skin in winter time. 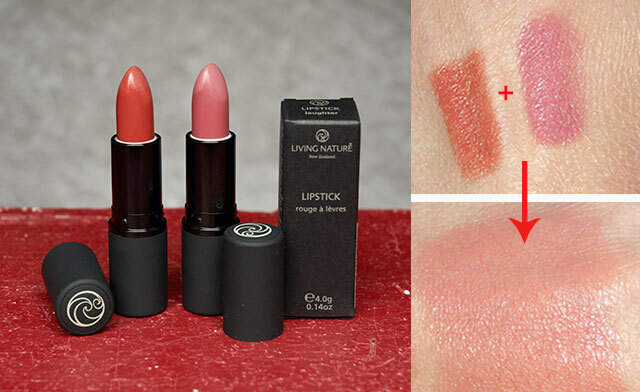 For those who haven’t heard about Living nature yet, check my video where I presented the brand and did 3 make-up looks with their make-up products. When we enter in colder days, our skin needs some extra nourishment and all our attention. Beside drinking lots of water even in winter (or even better hot herbal teas to warm the body), we also need to take appropriate care of our skin. If you don’t have time or money to spend in a spa, you can still do a nice treatment in your own home. Try to take half an hour 1-2 times per week to give a nice pampering not just to your skin but also to your senses. Massage and aromatherapeutic smells make wonders for our wellbeing. If you are short with time, make facial treatments along with other body treatments (wear a mask when in bath/shower). Kumerahou to cleanse without breaking the skin’s moisture barrier. Essential oils, citrus oils, flower extracts (such as calendula) as well as Evening primrose oil, Carrot oil, Jojoba, Nut oils, Cocoa butter, Shea Butter, Rosehip, and many more. While researching the philosophy and ingredients behind this brand, I was fascinated the most by the in-depth description of plants they use. For those of you who like to immerse in this knowledge, spend some time on their website. 1.step Make a gentle scrub to your face 1-2 times a week. This way your skin will be soft because you will remove dead cells and allow it to breathe. 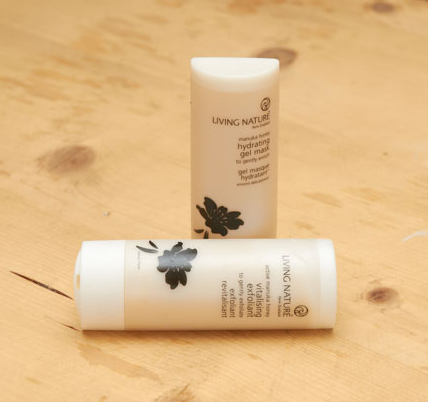 I have started my dry skin treatment with Living nature Vitalising exfoliant instead of using a standard cleanser. This was a great choice because this exfoliant is not like a usual “mechanic” scrub that exfoliate with sugar or other particles. 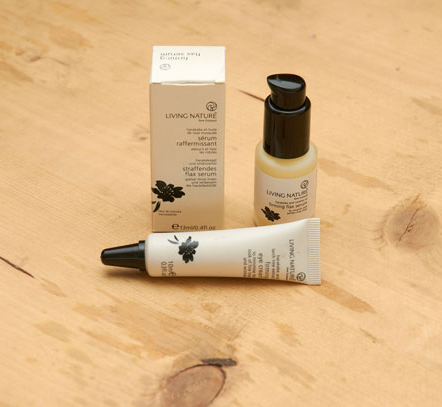 Instead it is formulated with natural honey acids and other ingredients that nourish the skin. So don’t be surprised because there are no particles in it, the product will do a great job anyway because of its progressive formulation. This exfoliant is a good choice especially for those who have dry and sensitive skin. The texture of this exfoliant is like a light liquid gel with a delicate fresh smell of orange. After using it the skin is soft and cleansed in a gentle way. I use it directly (after the Gentle make-up remover) once or twice a week, when I remove my make-up in the evening. In that case it works as a scrub and a deep cleanser all together. But I don’t suggest to use it everyday instead of your regular skin cleanser because the skin doesn’t need exfoliation every day. While applying it to the skin, gently massage the product with circular motions. You can leave it on for a couple of minutes, but you will achieve the best results if you leave it on for 20min. After rinse with water. 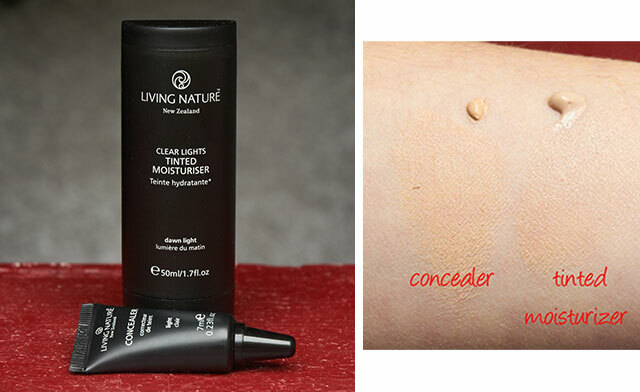 I have another observation: In the past when I was using conventional scrubs without particles (usually based on synthetic AHA acids) my skin burned a lot and so I didn’t like them, but this formulation made of natural ingredients works great on my dry and sensitive skin, no burning or redness! 2.step Apply a mask on your face 2-3 times a week (especially for dry skin) to nourish your skin and give it a boost of nutrients and hydration. After having properly removed impurities from my face, it’s time to apply a hydrating mask! I have chosen the Hydrating gel mask, because I wanted hydration but without heavy and greasy ingredients. 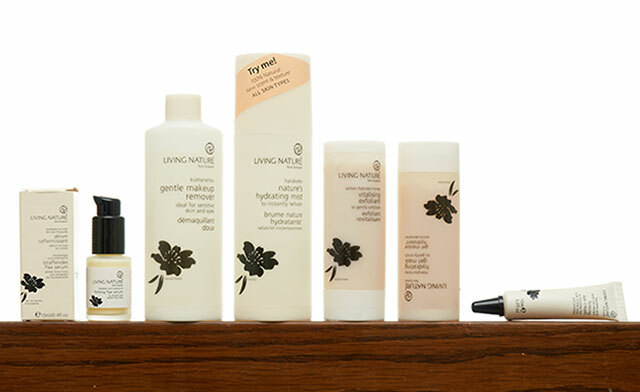 All of these Living nature products have a light texture which is a modern way of giving the skin what it needs. Sometimes it’s not good to overload the skin with lots of greasy and heavy ingredients. Maybe the skin is dry but does not need oils, it needs just lots of water/hydration. This mask is really amazing! I’d recommend for every skin type, especially dry and sensitive. It’s also a great product to use even when your travel. While traveling on plane where the air is dry, you can apply it on the face and leave it for 20 minutes or more, if you want. And you won’t even look like you wear a mask, because it has a transparent gel texture. Vegetable oils (St John’s wort and wheat germ oil) plus extracts from calendula and carrot, combined with Manuka honey and Harakeke Flax Gel will make your skin soft, regenerated and prepared for cold days. After having done your relax treatment for about 20 min, rinse the mask with warm water. Both the mask and the exfoliator come in 50 ml bottles. 3.step: Hydrate your skin with a splash of toner. After all these lovely treatments, I always love to refresh my face with a splash of toner. This is why among many Living Nature toners I decided to choose this one: Nature’s hydrating mist. It’s the only one that comes in a spray, which is extremely handy also for carrying it with you while traveling. This light mist is a quick pick-me-up. It hydrates, calms and refreshes your skin. You can use it before your moisturizer, during the day or even to set your mineral make-up. It has a delicate scent because of essential oils. It comes in a 100ml spray bottle. I haven’t chosen any other toner from their collection (3 toners all together), but I received a few samples of Extra hydrating toning gel that I tested with curiosity. This toner is not a conventional toner with fluid consistency, but it’s almost a light fluid gel that you apply on skin. It makes the skin really soft and it feels great on dry skin after the application. The only thing I didn’t like is that after I have applied the serum/moisturizer/oil after, this toner started to make some kind of small flaky pieces on my skin. So when I’ve used it again I haven’t put nothing on after. I have also tried to wait a few minutes and more but on my skin is the same result. So I’ve used it as a light lotion in the evening before going to sleep. (Note: I haven’t used this toner after the previous one, but on its own). Green makeup tip All of you who suffer from dry skin, especially in winter carry with you a spray toner to hydrate your skin when needed. I cannot live without eye creams since I was 15, because I always had dry and thin skin plus under eye dark circles. So I absolutely wanted to try even Living nature’s Firming eye cream. This light cream, but rich in texture at the same time, gives your under eye area a boost of hydration. It’s loaded with Harakeke and larch tree extract, Manuka honey and other beneficial ingredients for preventing the first signs of aging in a natural and gentle way. It comes in a 10ml tube and a little goes a long way. The only thing that I don’t like so much is the smell that reminds of seaweed, even though is not in the ingredients. But this is my subjective feeling and overall I like this cream very much. It is great (nourishing and it absorbs quick in the skin) when used alone and under make-up as well. 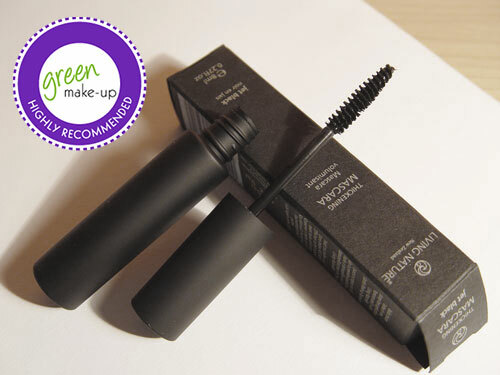 Green makeup tip Apply the eye cream around the eyes with gentle massaging and tapping it into the skin. Around the eyes we have many acupressure points that stimulate the overall face and organs. Massaging this area is also great to reduce puffiness = retention of fluids. Last but not least, my second n.1 product from this collection is Living nature Firming flax serum! In the night time I mainly use just light textures so that my skin breathes, this is why I wanted to try this serum the most. This serum is really a super beauty elixir to use as a face treatment on its own or under your moisturizer/oil in morning and evening. It comes in a small 13ml glass bottle with a pump. It has a beautiful scent that makes you smell it even more 🙂 It is not because of other rewards that received, but it’s a product really worth of awards! Sometimes it’s hard to describe why a skin product works so well. I guess it’s the overall feeling: when a product wake-up our senses and it makes us feel good, plus when we see the obvious result on the skin. After applying it, the skin looks radiant, smooth and nourished. As other products here, it has again a light, white color texture. It absorbs quick in the skin but it does not pull it together. For me, using just this product after other treatments, it was enough. But you can also use after an oil/moisturizer if you feel so, especially if your skin is dehydrated. Since Christmas time is approaching, I saw that they have beautiful gift/travel sets for different skin types and for body treatments as well. This is not just a beautiful green gift but also an opportunity to test the products! This is my complete review and home beauty facial treatment with all the Living nature’s products that suits great my dry skin. Overall, I love all of them, it was a great choice and new discovery. I am especially fascinated by the light and modern textures combined with natural ingredients and the feeling they leave on the skin. 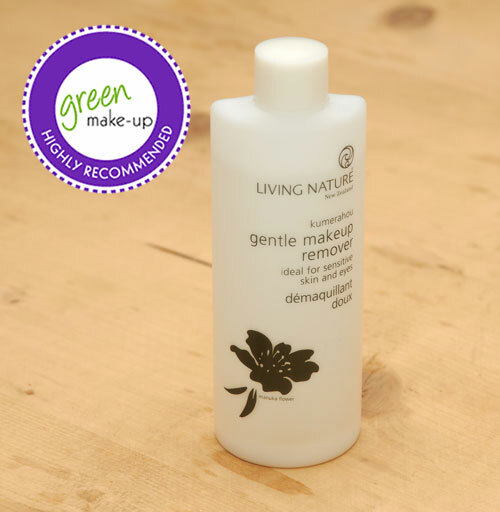 Living nature is absolutely Green makeup n.1 choice of this year! Stay tuned for the 2nd part where new green makeup tips wait for you! 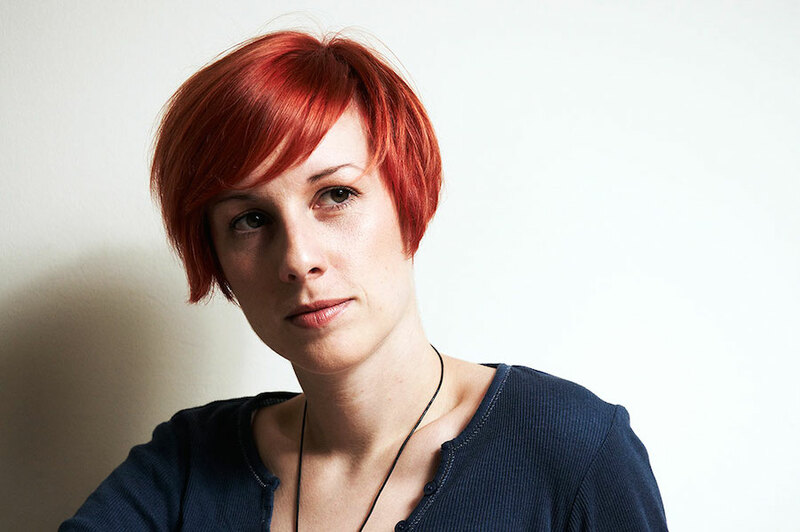 Photo credits and many thanks to Boris Gorjan photographer for beautiful pictures!